SAN FRANCISCO (CN) – In another potential showdown between the Ninth Circuit and President Donald Trump’s fledgling administration, the Ninth Circuit indicated Monday that it may order the Environmental Protection Agency to revise its dust-lead hazard standards and definition of lead-based paint. 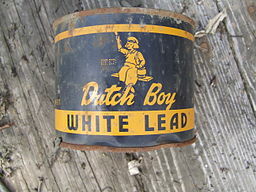 However, Justice Department attorney Rochelle Russell told Smith that the EPA “respectfully declines the opportunity” to mediate, essentially leaving the court to decide whether to grant the groups’ request to order the EPA to issue a final rule on the dust-lead hazard standards and definition of lead-based paint within six months. “It rather puts the ball back in our court, doesn’t it?” U.S. District Judge Lawrence Piersol, sitting by designation from the District of South Dakota, said Monday. “It does put the ball back in your court, yes,” Russell replied. “OK, if that’s where you want it,” Smith told her. At issue is a citizens’ petition that the New York City Coalition to End Lead Poisoning, the Alliance for Healthy Homes, the Sierra Club and several other groups filed with the EPA in 2009 requesting a rulemaking to reduce the dust-lead hazard standards down to one quarter their current level for floors and less than half their current level for window sills. It also asked the EPA to modify the definition of lead-based paint to reduce lead levels from 0.5 percent to 0.06 percent by weight. The EPA agreed to review the standards, but warned that it hadn’t conceded a specific outcome. Dust-lead hazard standards are used to identify dangerous levels of lead in a building. If a dust-lead hazard is found, trained personnel must perform lead inspection, risk assessment and abatement, according to the petition. The EPA has yet to issue a final rule more than seven years after the petition was filed, which the petitioners say is unreasonable and a violation of the Administrative Procedure Act. On Monday, Hannah Chang, an attorney with Earthjustice who is representing the petitioners, told the court that chronic exposure to low levels of lead can have significant negative health effects in children, including brain damage. The petitioners say the EPA’s dust-lead hazard standards are outdated and dangerous, citing a statement in their court brief by the American Academy of Pediatrics that found that at the EPA’s current dust-lead hazard standard for floors, 50 percent of children were estimated to have a blood-lead concentration of 5 μg/dL (5 micrograms per deciliter) or more. According to the petitioners, that means that half the children whose families were told their homes do not contain a dust-lead hazard develop elevated blood-lead levels. The EPA’s current blood-lead reference level in children is 10 μg/dL. However, the Centers for Disease Control lowered its reference level in 2012 to 5 μg/dL. Those reference levels are meant to trigger a public health responses when detected. “Those kids have already lived the first six years of their lives, which is when they are most vulnerable to lead, in these poison surroundings, unknowingly and with permanent brain damage as a result, and now EPA is asking for another six years, potentially more, to reach a final standard,” Chang said, referring to the EPA’s desire to wait until 2023 to issue a final rule. The EPA, however, insists that it has no duty to promulgate a rule revising the dust-lead hazard standards and the definition of lead-based paint. It says its only duty was to initiate a proceeding to consider revising them after it responded to the citizen petition – which it has already done. “Do you dispute that there are children dying of lead poisoning in buildings all over the country?” asked Senior U.S. Circuit Judge Mary M. Schroeder. “No, EPA does not dispute that lead exposure to children remains a significant health risk. It disputes that this court can compel the agency to undertake a specific rulemaking to revise the dust-lead hazard standards and to revise the definition of lead-based paint, yes,” she said. “So you can ignore your own science?” Piersol asked, referencing the EPA’s findings that any measurable level of lead in a child’s blood is harmful. Russell told Piersol that the court can only compel the EPA to act if the agency had ignored a legislative command to do so. Piersol agreed with that argument, but did not believe it applied to the EPA’s situation. “You have a new head of the EPA. What might he say?” Piersol continued, referring to Trump-appointed EPA Administrator Scott Pruitt, who sued the EPA on multiple occasions as Oklahoma attorney general. Smith again mentioned mediation, telling the parties that they are better equipped than the court to decide how long the rulemaking should take, but Russell shot down the idea a second time. “The agency at this time is electing not to proceed with mediation,” she said.